The charge of underage drinking or possession of alcohol is commonly seen by the attorneys at The Law Offices of Roger P. Foley. While it may seem strange to some that a young man or woman, say aged 18-20, can vote, enlist in the military and be relocated overseas to fight a war, they can still be charged with a crime when found in the United States with beer or alcohol. While this is not the most severe of charges we see as attorneys, the truth of the matter is it is considered “criminal activity” and has the potential to stay on someone’s record for the rest of their life. This may not seem like a major issue for those of us who are older and established in our career, but to a young man or woman who has yet to apply for college or step foot into the world of employment, having a conviction on their record can close many doors and ruin numerous opportunities. One important thing to note about this charge is the fact that mere possession of alcohol is enough to be charged, someone does not have to be drinking or ingesting the alcohol. If you are underage and were in possession of or caught drinking alcohol and charged with Possession of Alcohol Under 21, you need a hard-hitting and thorough attorney to fight to get these charges dropped. Don’t put your future at risk because of a bad judgment call or being in the wrong place at the wrong time. In the State of Florida, it is illegal for any person who has not reached the age of 21 to have an alcoholic beverage, beer, wine, liquor, mixed drinks, or other drinks in his or her possession. In Florida, possession can be defined as “actual” or “constructive” - constructive meaning you do not need to have been found holding the alcoholic beverage but rather it only needs to be proven that the alcoholic beverage was in an area that was under your control and you knew it was in your presence. If you are charged with Possession of Alcohol Under 21 and it is your first offense of this particular charge, it is classified as a second-degree misdemeanor, punishable up to 60 days in jail, with the potential of a $500 fine. If you receive this charge, and it is a subsequent offense, it is classified as a first-degree misdemeanor, punishable up to 1 year in jail with the potential of a $1,000 fine. It is also important to add that if you are found guilty of Possession of Alcohol Under 21, your driver’s license will be revoked for a minimum of six months, but can be revoked up to a twelve-month period. Depending on the circumstances of your case, the attorneys at The Law Offices of Roger P. Foley have a variety of potential defenses for this charge. Common defenses in cases like this include not knowing the beverage in your possession was alcoholic in nature; destruction of the alcoholic beverage; inability of the State to prove you had control over the beverage; entrapment; temporarily holding a beverage for someone but not knowing it contained alcohol; and the lack of legal justification for an officer to enter or stay on the property wherein he/she saw underage possession of alcohol, among others. 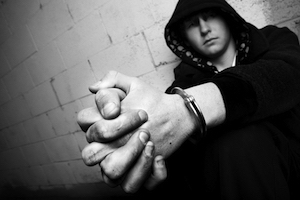 At The Law Offices of Roger P. Foley, we have worked with underage clients who have Possession of Alcohol Under 21 as their primary charge, or have this charge in addition to others. Let our skilled and aggressive West Palm Beach DUI Under 21 Attorneys fight for you in the courtroom so you have the best outcome possible. Call the lawyers at The Law Offices of Roger P. Foley today at 561-746- 7076. We understand how crucial it is for you not to have a conviction at this time of your life, when college applications, employment and internship opportunities can be cut short by having this charge on your record.